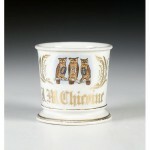 Occupational and fraternal shaving mug, ca. 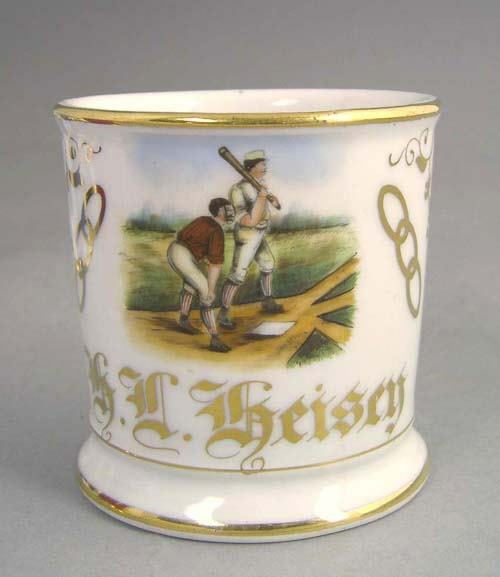 1900, with handpainted baseball players flanked by the three links of the oddfellows, inscribed ”K.L. Keisey”. Illustrated in Best of Shaving Mugs by Keith Estep, pg. 25.